Children’s English studies will focus on discussion, film narrative and play scripts. The play script studies will focus on Shakespeare’s ‘A Midsummer Night’s Dream’. In their studies of film narrative, they will be learning to retell the story of a short film, in the First Person. They will also be reading a range of writing by other significant children’s authors and will focus on the poems of Spike Milligan. 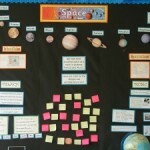 Children’s scientific studies are focusing on forces, and the Earth and Space. 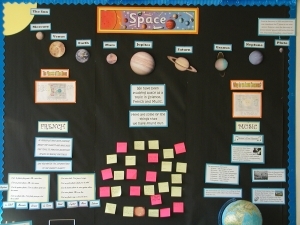 In music children will be appraising and composing music on a space theme. 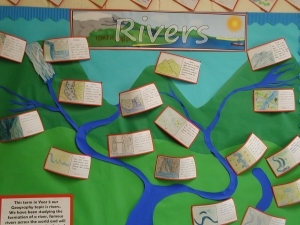 In geography children are studying rivers, in particular those in the local area. A river walk in Barclay Park will consolidate their studies. Their art studies will focus on landscapes, and in design and technology they will be investigating mechanical systems in toys. In computing children will be collecting and presenting data using data loggers and data modelling. 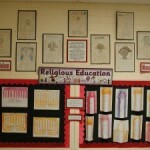 In religious education children will be continuing their studies of Christianity and Judaism. A visit to The Jewish Museum, London, on 22nd March, will support their studies. 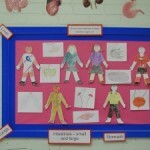 Children’s scientific studies are focusing on the topic Properties and Changes of Materials. In history children will be introduced to the Anglo-Saxons and Vikings, and the visit by History Off the Page, on 9th November, will enrich their studies. In design and technology children will be creating Lucet bracelets, a design technique used by the Vikings. 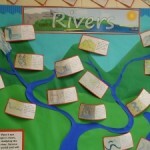 Children’s art work will explore Anglo-Saxon illuminated lettering. In computing, children will be learning how to record, assimilate and predict data from a variety of different sources. In music children will be focusing on composition with a short melody line. 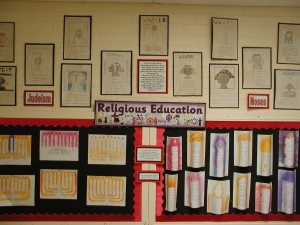 In religious education Year 5 are studying Christianity and Judaism. They will also extend their understanding of the poetry of Roger McGough. 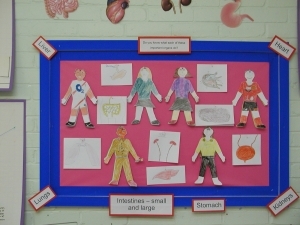 In science, children will be studying the life cycle of animals, including humans. They will also study the different habitats of animals. In history children will be learning about the Ancient Mesoamerican civilisation: the Mayans, and in geography children will be studying Mesoamerica. Their English studies will include the Caribbean poetry of John Agard, Grace Nichols, James Berry and Valerie Bloom. Children will also be introduced to Donizetti’s opera ‘Maria Stuarda’ which will act as an inspiration for their writing. The project will culminate in Sheredes Primary acting as host school to Pavilion Opera performing Maria Stuarda on the 27th June. In music, children will continue to study Gustav Holst’s ‘The Planets’ and learn about music technology. In Computing children will be creating soundscapes using Audacity and Wavepad software, with particular links to their geography and music studies. In art children will be using clay to create Mayan artefacts. In design and technology children will be learning how to make Mayan tortilla bread. They will continue with their studies in religious education on Christianity and Judaism. To enrich their learning in French, children will be visiting France for a day trip on 22nd May.